A Macbook vs regular book – an illustration where 2 worlds collide. 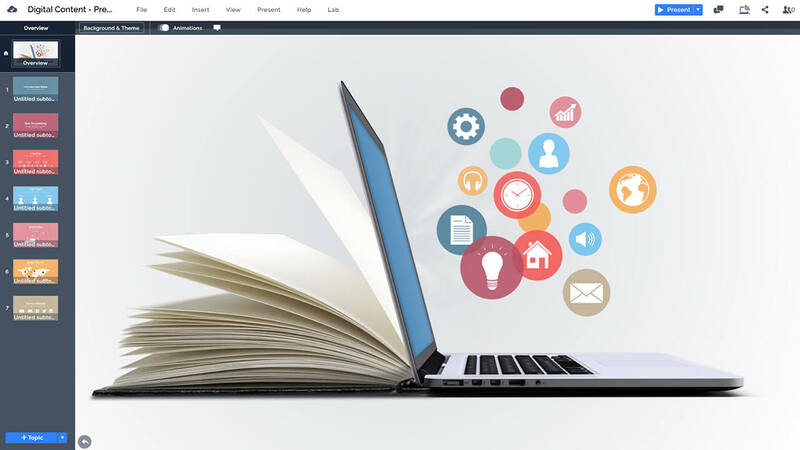 A creative Prezi presentation template with a Macbook laptop screen turning into book page. Great storytelling concept for education, online learning and reading or writing a book. Colorful circle topics flying out of the laptop screen which are zoomable topic covers. Use the default icons that illustrate each slide cover, or replace them with text titles. Talk about educational technology, reading ebooks or creating educational content online. 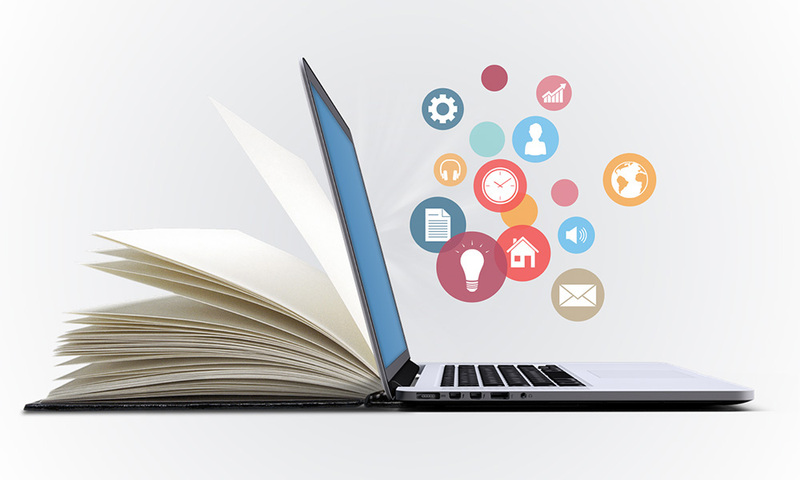 The book vs laptop concept is perfect for illustrating the topic of creating online content and following copyright rules. There’s much talk about copyright violations, and especially with the new EU copyright laws, these topics will be heavily debated. One is for sure, content creators wish to get credited fairly and this template uses the concept of creative process that authors go through – ideas flow freely on the screen, but do they follow the real world rules? Use the template to talk about anything related with online content, such as digitization of paper books, sharing content or news snippets on social media or data protection laws. This entry was posted in Best Prezi presentation templates, Prezi Next Templates and tagged 3d creative education prezi next template, 3d laptop, book, book as laptop, copyright presentation, creative education presentation, digital book, digital ebook, e book, ebook presentation, ecourses, education technology powerpoint template, educational technology ppt templates free download, free powerpoint templates education technology, laptop, laptop 3d, laptop book, macbook book, online education, online learing, online reading, online skills, prezi template education, technology in education presentation.